It's kind of inevitable, right? The Olympics brings together athletes from around the world, representing their countries, in an intensely competitive environment. It'd be a downright miracle if global politics didn't somehow seep into the mix. But since the modern-day Olympics began in 1896, the organizers' of the games have consistently urged participating nations to leave their political differences at the door. There's even a rule in the International Olympic Committee Charter that shuns any kind of political demonstration. That hasn't always worked out so well. 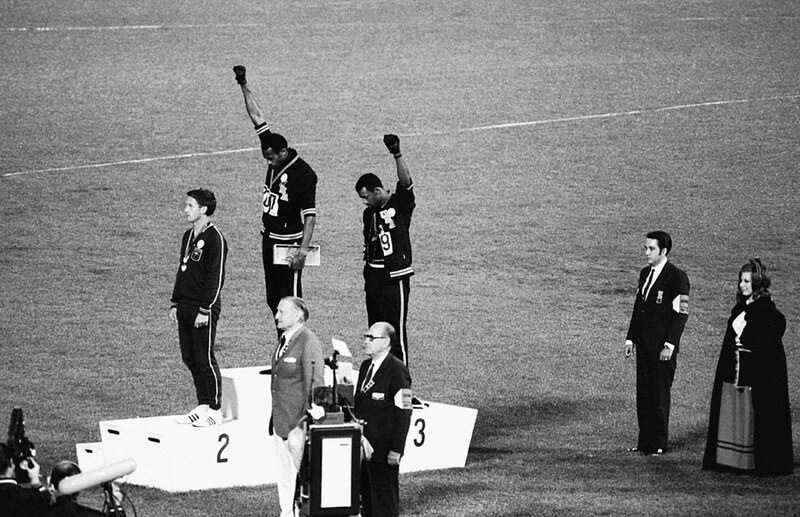 In fact, the Olympics have long been used as an arena for political posturing, a global stage to voice dissent. The 2018 games are no exception. In an unprecedented move this year, Russia was officially banned from participating in the 2018 winter games after evidence surfaced that many of its athletes had been doping for years as part of a clandestine state-sponsored program. A group of 169 Russian have been allowed to individually participate in the games, but are not officially representing their country. The athletes are simply being referred to as "Olympic Athletes from Russia,." During the opening ceremony, they wore nondescript gray tracksuits. And in a move of potential diplomacy (although one viewed with suspicion by the U.S.), North Korea participated in the games, despite its longstanding nuclear tensions with South Korea. In the opening ceremony, athletes from the two Koreas marched under the same flag. They also formed a joint Korean women's hockey team. This timeline-map, based, in part, on an older interactive produced by the Center on Foreign Relations, tracks some of the many political tensions that have surfaced over the course of Olympic history.